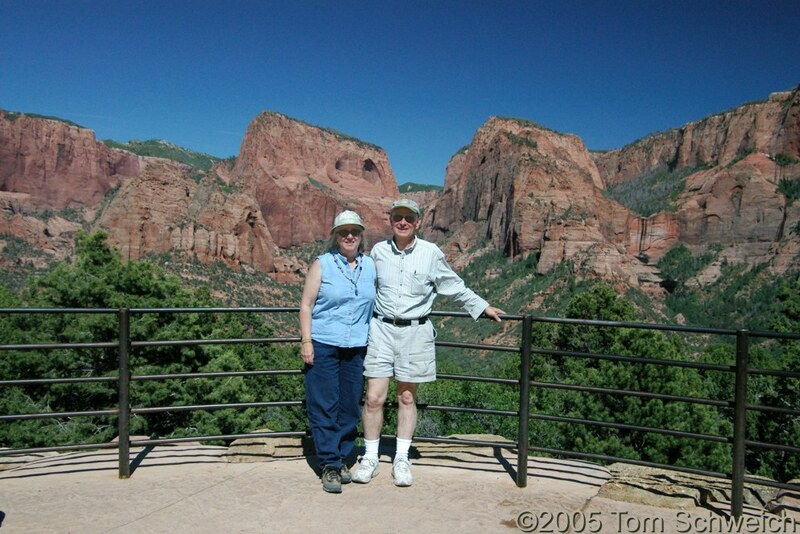 Photo: Cheryl and Tom at the Kolob Canyons Overlook. Eastern Mojave Vegetation Cheryl and Tom at the Kolob Canyons Overlook. Field Notes: May 31st, Kolob Cyns..
U. S. Interstate 15: at Kolob Cyns. Other photos about Geography - Utah or Zion National Park.